Tarnovsky, Vasyl V. [Тарновський, Василь; Tarnovs’kyj, Vasyl’], b 1 April 1837 in Antonivka, Pyriatyn county, Poltava gubernia, d 25 June 1899 in Kyiv. Civic and cultural activist; son of Vasyl Tarnovsky. 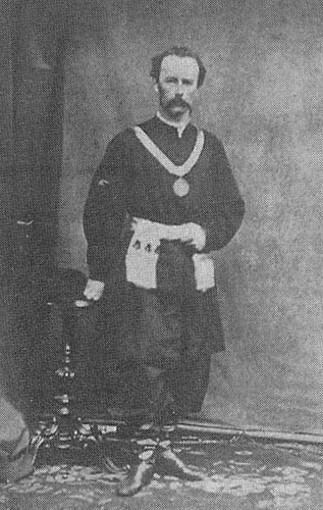 A graduate of Kyiv University, he served as marshal of Nizhyn county (1875–87). Recognizing Taras Shevchenko's genius he extended his friendship and help to him. He supported various Ukrainian cultural developments, particularly the publication of Kievskaia starina in the 1890s, the founding of the Kyiv Historical Museum, and the upkeep of Shevchenko's grave in Kaniv. He amassed a large collection of artifacts and documents from the Cossack era and a unique collection of Shevchenko memorabilia. A number of important books were published by Tarnovsky: a catalog of his historical collections, a photograph album of Shevchenko's etchings, and Volodymyr Antonovych and Volodymyr Bets's album of hetmans, Istoricheskie deiateli Iugo-Zapadnoi Rossii (Historical Figures of Southwestern Russia, 1883). In 1897 he bequeathed the Museum of Ukrainian Antiquities in Chernihiv, which he had financed, to the Chernihiv zemstvo. Leading Ukrainian writers and scholars, such as Mykola Kostomarov, Panteleimon Kulish, Marko Vovchok, Oleksander Lazarevsky, and Vasyl Horlenko, met at his estate in Kachanivka, in Borzna county. Among his friends Tarnovsky was called ‘Hetman,’ and he appears as a Cossack hetman on a famous painting by Ilia Repin (The Hetman. 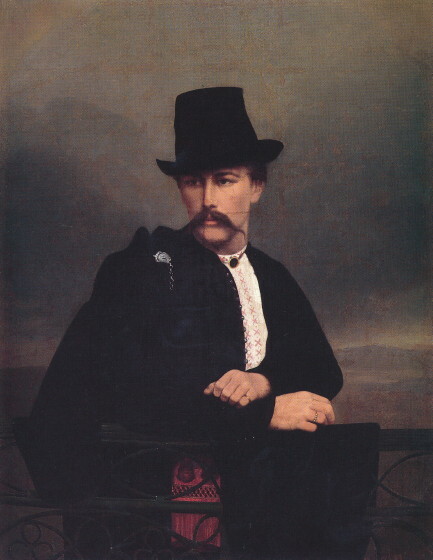 Portrait of Vasyl Tarnovsky, 1880).